LAGOS FEBRUARY 14TH (NEWSRANGERS)- Media Rights Agenda (MRA) today called on Nigerians to use radio as a tool for building peace across political, economic, religious and ethnic divides particularly at this period when Nigeria is holding general elections to elect a new set of leaders. MRA made the call in a statement issued in Lagos by Mr. Ayode Longe, MRA’s Programme Director, to commemorate the eighth edition of the World Radio Day, a Day celebrated every year on February 13, and in line with the theme of the celebration: Dialogue, Tolerance and Peace. World Radio Day was proclaimed at the 36th session of UNESCO’s General Conference in 2011 to take place on February 13 each year. It was then unanimously endorsed by the United Nations General Assembly on January 14, 2013 at its 67th session as a UN Day. 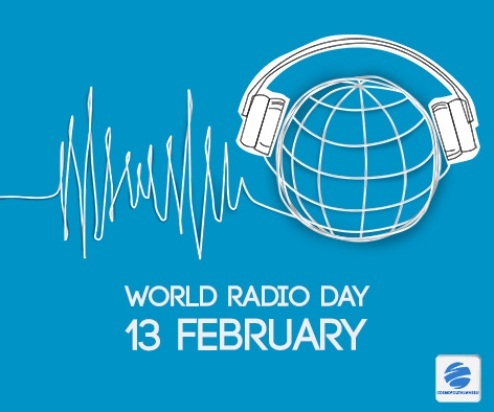 The Day commemorates the establishment of the UN R on February 13, 1946 and is now set aside as the day to celebrate radio as a medium to improve international cooperation between broadcasters and to encourage networks and community radio alike to promote access to information, freedom of expression and gender equality over the airwaves. Mr. Longe identified the importance of radio in many different ways and how it can be used to promote peace, noting that it is a medium that is being used to foster participation and engagement in local languages; it is the first medium people turn to for information and updates about just anything including during natural disasters, wars, as well as communal, national and political activities of all hues. Mr. Longe described this year’s theme as very appropriate, saying it is coming at about the time of Nigeria’s general elections which have frequently been characterized by violence in the past. He stressed that for free, fair and peaceful elections in Nigeria, there is need for tolerance from everybody, especially the political actors and their most ardent supporters, adding that dialogue will enhance understanding and tolerance which will ultimately bring about peace, and that the radio is best positioned to facilitate this. He called on all Nigerians, particularly broadcasters, to use radio to douse tension and ensure peace, reminding them that radio has the potential to stoke violence and as well as to be an instrument for building peace.